Denver offers a lot of appeal for those interested in city living. Its premier location next to beautiful mountain scenes, over 300 days of sunshine, and bustling tech centers have kept its population on a steady incline for decades. The demographic for who this city is attracting to new homes like The Henry apartments in Denver, however, has changed. The area was once a magnet for baby boomers eager to start successful businesses, but a recent study by the Metro Denver Economic Development Corporation (EDC) found that this area is now a Mecca for Millennials. So, what is it about the city that attracts such a targeted demographic? Manbuns, Instagram selfies, and self-employment could all be used to define this generation, but what actually constitutes as a Millennial? The definition changes depending on who you talk to, however, most research groups agree that this generation consists of individuals born between 1981 and 1996/7. You might also hear them referred to as Generation Y, the internet generation, or even Gen Next. Now that you better understand this demographic, here’s why Denver is attracting them en masse. Since 2000, the number of entrepreneurs in this age group increased from a mere 2 percent to a whopping 34 percent. 62% of Millennials work in leisure and hospitality, professional/business services, wholesale and retail, or government. 32.5% of all jobs in Denver’s metro area are held by Millennials. 52% of individuals moving to the metro area in 2014 fell into the Gen Y demographic. The city is clearly drawing in young professionals, but why? With a generation so drastically different from those before them, what aspect of a city that once enthralled Baby Boomers now attracts their polar opposite? Perhaps the most prominent reason that Denver appeals to Millennials is the city’s startup scene. The metro area has become fertile ground for entrepreneurs to create unique and diverse businesses with a chance to succeed in today’s economy. This opportunity is multi-faceted, speaking to the vibrant culture found in the metro area. Home to Denver Startup Week, the largest free conference in the nation, young professionals have the unique chance to build a network with those already well established in the area. These workshop-style conferences are where new entrepreneurs to the scene can learn the tricks of the trade from those already highly successful in the Denver area. Aside from help building business plans and creating solid marketing campaigns, local residents’ appetite for unique business that break the cookie-cutter mold helps these startups to become successful. As they grow, so does the opportunity for new jobs where like-minded millennials can work. Outside of the startup realm, the Denver Tech Area is home to incredible companies such as Ciber and Envivo. Millennials are often described as being the most tech savvy and technologically adaptable generation, which gives them an advantage in this job market. Software and IT employment alone have grown over 32% in the past five years, outpacing the rest of the nation combined. This expansion boosts both the job market and economy within the city, both of which are attractive to fresh-out-of-college aged individuals. With the rise in cost for student loans, landing a job out of the shoot is a highly sought-after commodity. Next to Portland, Oregon, Denver has the largest number of microbreweries in any given area. With over 300 locations pumping out diverse beers in the area, it isn’t hard to imagine that a younger demographic would like to live there. After a hard day’s work running a small business or slaving behind a desk, there’s nothing quite like a cold IPA, stout, or lager. Per capita, there are six breweries for every 100,000 residents, giving Millennials a vast nightlife scene to be a part of. That nightlife scene also happens to be a safe one. In recent years, the metro area of Denver has increased accessibility to public transportation. While that’s an excellent way to stay green and save cash on your commute to work, it’s also a more responsible way to enjoy a few drinks afterwards. 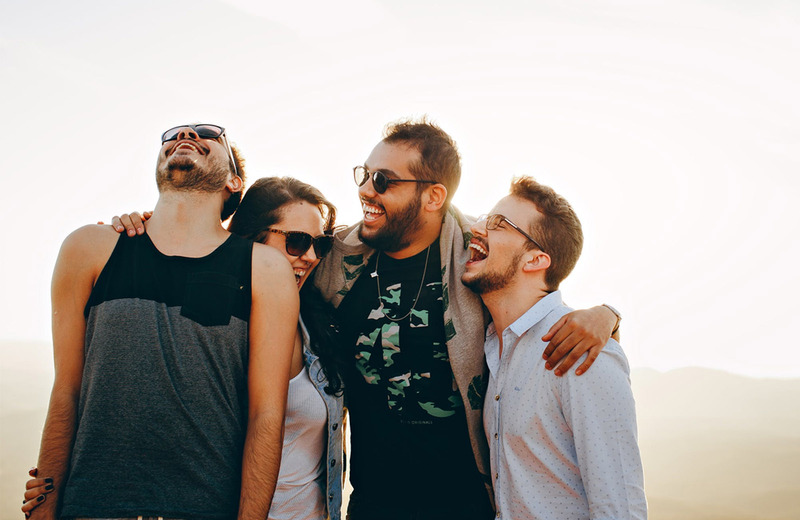 Millennials are described as more willing to spend their hard-earned cash on experiences rather than material possessions. Whether that’s true or not is up for debate, but this generation certainly enjoys staying fit in the great outdoors. Colorado has long been known as a haven for skiers and hikers thanks to its mountainous terrain. Denver happens to sit less than 45 minutes away from the Rocky Mountains, not to mention its close proximity to an abundance on national parks and wildlife reserves. Enjoying nature is as simple as a car ride beyond the outskirts of the city. Thanks to Denver’s smaller size, millennials can head to the mountains and back in just a day. These kinds of experiences are readily available despite this being such a tech-centric metro area. These are just a few of the reasons why Denver has become a Mecca for Millennials, but the types of homes available also serve as a point of interest. With the trend in renting over owning a home continually rising, apartment communities like The Henry have become premier living quarters for Gen Y. These buildings offer ample floor space, full furnishings with modern appliances, and a host of amenities catered to a variety of lifestyles. With over 45,000 square feet of common space, the sense of community in these apartment homes are the kind that renters are looking for. Combine these features with easy access to Denver’s public transportation systems, and its easy to see why renting is so popular.